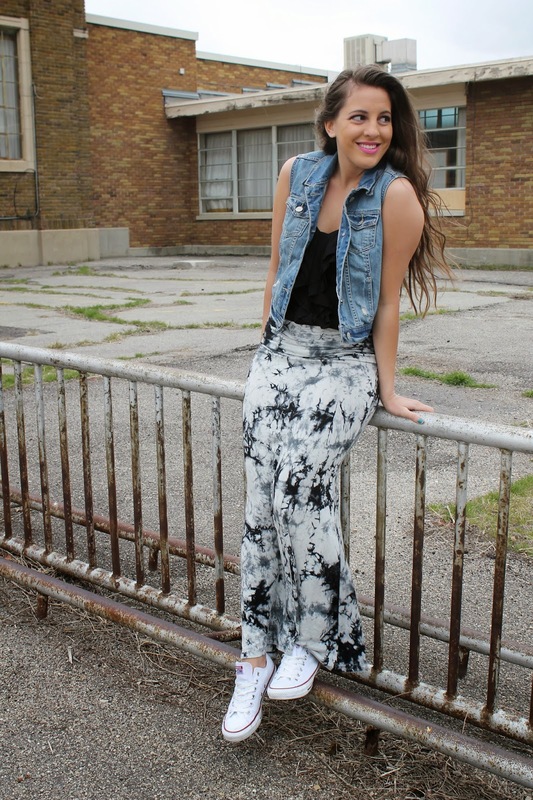 Oh how I love maxi skirts so much!! I have been wanting a tie dye want specifically for awhile now and then I saw this one from Annie Jean Apparel and I knew I needed it! Maxi skirts can be worn dressed up and more casual, and I definitely went more casual on this one but I love this look. I paired it with a black tank, a denim vest, and then my white Chuck Taylors. I love adding denim to outfits because I feel like it really can dress down the outfit, but in a really good way!! For Day 3 of Week of Giveaways Annie Jean Apparel is giving away a $50 gift card to one lucky reader! Make sure to enter below!!! You are so gorgeous, Lily! And your outifts too. Well, but yea, I would really like to win this fine giveaway!